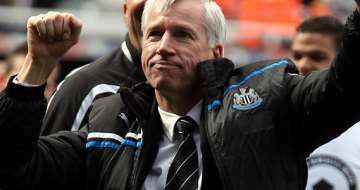 Alan Pardew interview | NUFC Blog. Archive for tag: Alan Pardew interview. Speaking in his latest interview, Alan Pardew has been getting his latest round of excuses in before the season starts, saying that Newcastle United might find it difficult to replicate 2012’s fifth placed finish in the Premier League because he hasn’t replaced Demba Ba, and the club simply can’t compete with the financial strength of behemoths such as Southampton, Swansea City and Norwich City when it comes to buying players. 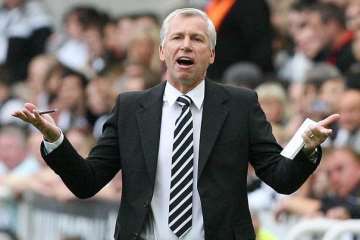 Pardew: Sticking with his old excuses. After Jonas Gutierrez publically criticised Newcastle United’s lack of intensity in their training sessions last season, Alan Pardew went away for a while, had a think, and has decided that both his staff and himself “need to be honest about it” and admit that mistakes were made. He then goes on to suggest that Gutierrez saying training sessions are “a bit too easy” was a little misleading at least by once again pointing the finger of blame at the stresses of playing in the Europa League, injuries and a lack of quality players. Pardew: Knock-on effect of French success. In the second installment of his exclusive interview with Sports Direct News (the first is here), Newcastle United’s manager, Alan Pardew, revealed that French players are attracted to Newcastle United because both they and their agents have seen how successful other French players have become after joining the club. 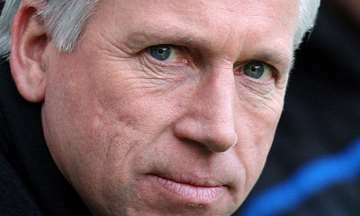 With players such as Hatem Ben Arfa, Yohan Cabaye, Mathieu Debuchy, Mapou Yanga Mbiwa and more abandoning French Championship winning sides such as Marseilles, Lille and Montpellier for a chance to come 16th in the Premiership, Pardew described the “knock-on effect” this has on other French players who want a taste of the same success. He explained: “Sometimes there is a knock-on effect when you get good quality in a certain place. “It might be Germany but for us it’s France and there has been this knock-on effect. 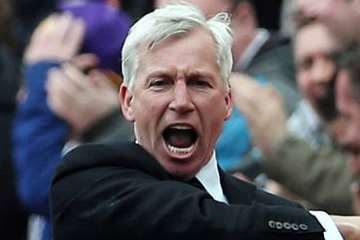 Pardew – Fist pumping his way back to the top ten? 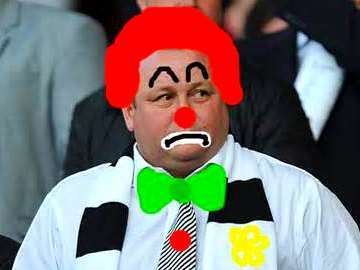 Speaking exclusively to Sports Direct News, Alan Pardew saluted Mike Ashley’s “bravery” in saving Newcastle United from the Championship, but also suggested that he may not be able to do it a second time should the club be relegated again. He also revealed that without the handicap of European football in the coming season, though his first aim will be to avoid relegation, he will be ambitious and go for a top ten finish or possibly even higher. Though how he could aim higher than the top ten, he didn’t explain.